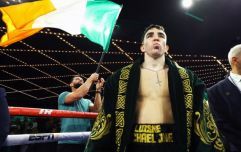 Ruben Garcia Hernandez was supposed to provide the toughest career test for Michael Conlan but the Irishman coasted to victory in New York City. Having successfully defended his WBO Inter-Continental featherweight title, Conlan's next move will be interesting as he looks to be ready for yet another step-up in competition. 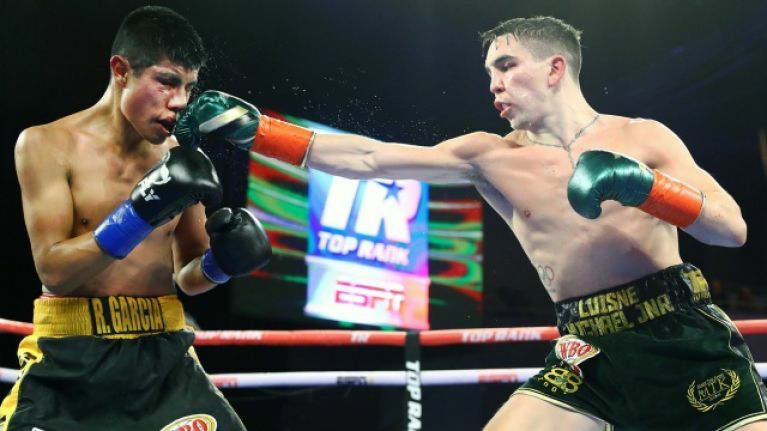 Promoter Bob Arum has allowed plenty of time for a steady rise up the ladder for Belfast's Conlan and he is apparently set to for a healthy injection of exposure on the undercard of Tyson Fury's first fight as part of his ESPN deal. "It’s looking like June 15 on the Fury card," Conlan told Boxing Talk when asked when we could expect to see him in action again. "I’ve spoken with the team. They will meet Top Rank in the coming weeks to get the next fight done, I’ve said I’m ready for anything." Considering the fact that they're in the same weight division, there have been rumblings in the past about a potential clash between Conlan and fellow Belfast fighter Carl Frampton. Frampton recently put pen to paper on a deal with Top Rank as he looks to position himself for another run at a world title before he hangs up his gloves but Conlan does not like the idea of sharing the ring with 'The Jackal'. Conlan said: "Me and Carl are with the same management and now the same promotional team, we are friends outside the ring and from the same city so this fight will not happen."